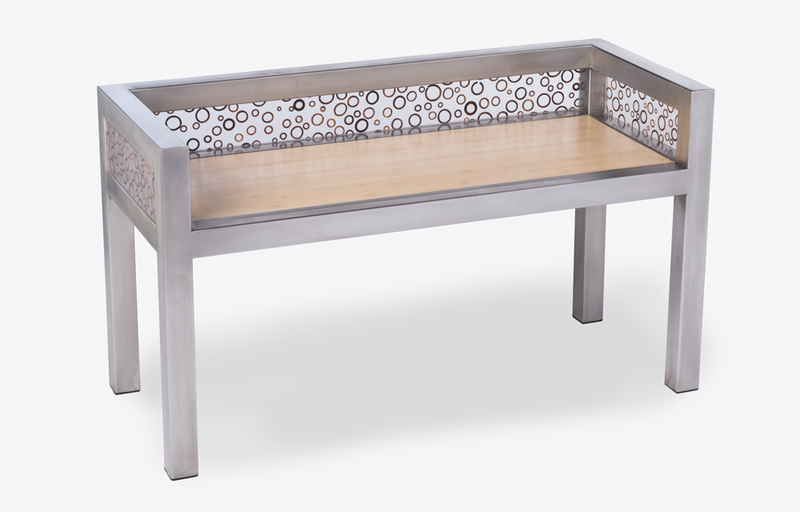 Designed as an entrance piece or a seat in your kitchen or bedroom. Also works nicely at the foot of your bed. $695.00 (24”x 42”). Available in all our ecoresin colors and styles.